In our fast paced, ever evolving industry, change is inevitable. Our business is no exception and, since we were established back in 1987, the tech we work with and the way IT recruitment works has changed considerably. Two of our recruitment consultants talk about their time at IF Recruitment and what drives business for them. Working with the company since 1998, Melanie Bosley is one of the longest serving members of our team and she certainly knows her stuff. She joined as a researcher and resourcer after completing her BA (Hons) in Business Studies, followed by a year within the CMU team at BT. She’s seen our business evolve and expand ever since. “I’m looking forward to this next phase in the IF Recruitment journey. When I started working here, we were predominantly placing candidates for roles working with Unisys. Tech moves on rapidly, though, and over the years we’ve made some big changes to reflect that. The tech areas we place candidates into changes regularly and, at IF Recruitment, we always aim to be one step ahead to ensure our candidates and our clients get the very best service. As the company has evolved, so has Melanie’s role, and she is now an IT Recruitment Consultant working in both the contract and permanent markets. 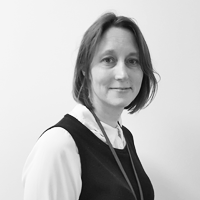 Having built up a wide and well managed network, Melanie’s expertise lies in understanding each client’s business needs, their culture and their values, and sourcing hard to find candidates to slot into the roles for recruitment. Juggling her career with being the mother of two children – Abi and Zack – no two days are ever the same for Mel. Mirroring this, her success in placing candidates is largely down to her positive ethos and openness to change. Her ability to forge relationships with clients, taking the time to understand how they work and knowing the right person for the job is critical. To this end, Mel enjoys the personal side of her career, meeting and remembering people and finding that perfect fit that will benefit her clients and candidates. Recognising the need for constant evolution in the tech industry, Mel also takes an active approach to her personal career development. She can regularly be found out and about at different events and meet-up groups. She also takes time out to stay ahead of the game in her understanding of new tech, making sure she has up to the moment knowledge for every new enquiry. Luke Farrow is new to the team, having worked at IF Recruitment since 6 June 2016. He’s no stranger to IT recruitment, though, and has worked in the industry for over two years. Starting his career recruiting for Fintech in the City, Luke has a great network and an easy manner with both clients and candidates. 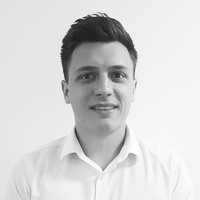 One of our growing team of Recruitment Consultants, Luke works proactively to build his network of clients. He gets a great buzz when successfully matching candidates with clients’ role requirements and he is passionate about expanding his knowledge of new technologies. Before moving into the recruitment arena, Luke took some time out to travel and to work in another arena he is passionate about. He trained as a soccer coach in America, working with children aged between between 5 and 15 and teaching them the basics of ‘the great game’. Moving back to the UK to start his career, Luke found that the skills he used on the soccer pitch are just as relevant in recruitment.